Free delivery within M25. Free onsite parking. We display the highest quality brands from around the world by the very best bathroom designers. Get up close and personal with our vibrant architectural designs unique to Deep Blue Bathrooms. Browse our room sets, which cater for all tastes and budgets, and imagine the full potential of your bathroom. Most of the products listed on our website are on display. Take advantage of our free design service to make the most of your ideas. I seldom award 5 star but on this occasion I am prepared to award 5 star to Olby. Fantastic service offered by Mike who was not only helpful but well informed about all items on sale. I would highly recommend this retailer before you go elsewhere. Absolutely fantastic service, Great products and showroom. Def recommend. Fab Fab Fab ! Come and talk through your ideas and we’ll help you decide the best options to suit you. Choose from a carefully sourced range of products from the best European manufacturers and designers to suit every taste. Customise the size, colour, finish and anything else for the perfect bathroom. Bespoke solutions regardless of size and shape as we deal direct with several premier independent manufacturers and their vast array of product. Our hand drawn plans ensure your selected items fit seamlessly and harmoniously. We’ll provide you with details of good quality fitters to complete your designs. 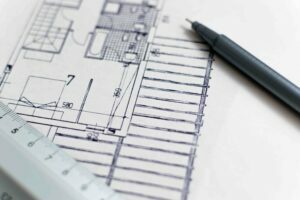 All you need to do is bring along copy of your own basic measurements or your architect’s plans. Or if you wish, you can add items from our website to your moodboard and email those over to us with your plans. Then tell us ideally when you’d like to come in and we’ll get back to you to confirm a date and time. 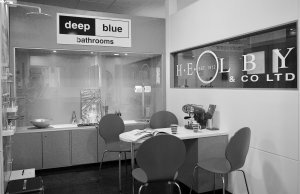 Deepblue Bathrooms is part of HE Olby Ltd, an independent family business, established in 1912. We pride ourselves on providing the highest quality service so that satisfied customers return again and again. Aftersales is a key part of what we do and we ensure that all our suppliers have long term availability of spare parts so that your bathroom is guaranteed for years to come. On confirmation of a purchase, we’ll need a 50% security deposit so that we can order the items and store them safely and securely in our warehouse until the installer is ready for site delivery. This prevents any unnecessary damage. We offer a free of charge delivery service to all local areas within the M25.